Spas can be relaxing and a lot of fun, so if your spa suddenly stops working correctly, it can quickly become frustrating. If you've been able to narrow down the problem down to a power supply cord from Watkins, there are a few things you can check to see if you can find the problem. If the issue is wiring or a short circuit, you should probably get a technician to work on your spa, but with caution you may be able to troubleshoot it yourself. 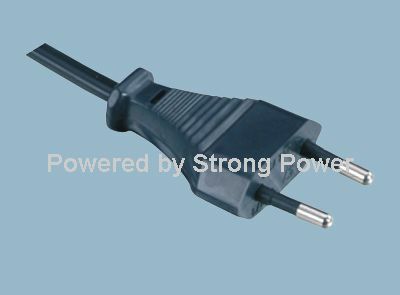 If jostling the cord makes or breaks the electrical connection and the spa gains or loses power, then there is a loose connection within the power supply. Unplug the Watkins power supply cord before continuing any troubleshooting. Even if the spa doesn't appear to be receiving power, you risk electric shock if the cord is plugged-in, while you troubleshoot it. You can place one lead from the voltmeter or circuit tester on one of the flat tabs of the cord's plug, then place the other lead on the other flat tab. See if your device reports a circuit with a visual indicator, or a beep. There should not be a circuit; if your device says there is a circuit, then there is a short in the cord or the power supply, and you should contact a technician. The exact method for this varies significantly among different types of spas, so you should probably refer to the spa's owner's manual, or contact customer support for the spa's manufacturer. You may need to open a portion of the spa itself, or the power supply may be available for access outside of the spa. You'll need to take out several screws to open the power supply completely. Look for three wires from the cord. There will probably be a green and white wire, and the third may be red or black. The green wire is the ground, the white wire is the neutral and the third wire is the "hot" wire that carries the electricity. The ground wire should be connected to a designated ground location in the power supply. 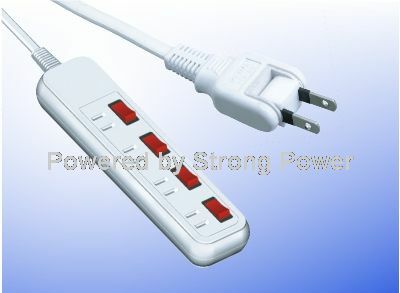 The neutral wire should be connected to a tab, often labeled "neutral." The hot wire should be connected to the power input for the power supply. Each power supply setup and labeling is different, but each wire should connect to a specified location. Sometimes the wire is held in place by a screw, but usually it is soldered into place. If you see a loose wire, that's the problem. Test to be sure each wire is making a complete circuit. In other words, you need to be sure that each of the three wires inside the power supply continues unbroken, to the plug itself. Locate the place that the Watkins power supply cord enters the power supply.Touch one lead of the voltmeter or circuit tester to the ground wire, then touch the other lead to the circular tab on the plug. Your device should inform you visually or audibly that there is a circuit. Test the neutral and hot wires. Each should complete a circuit with only one of the flat tabs on the plug. If you cannot find a circuit for one of the wires, then the wire is broken somewhere in the cord, and the cord should be replaced.